Let CDMG provide you with all of the building materials your project requires. CDMG supplies pre-engineered metal buildings to clients in a variety of industries throughout the United States, as well as engineering and installation for a wide range of commercial and industrial building applications. Offering the full spectrum from pre-engineered and hybrid to fully custom-designed buildings, CDMG is your source for high-quality, cost-effective buildings perfectly tailored to your unique needs. CDMG is proud to be a manufacturer’s representative for high-quality pre-engineered metal buildings from Nucor Building Systems, helping clients design their ideal facilities and build them for long-lasting quality and function. The designs, layouts, and exterior aesthetics of these steel buildings can be customized and tailored precisely to fit your needs and budget, from simple open-span warehouses and hangars to complex office and retail buildings, institutional facilities, and beyond. Nucor Building Systems has been a leader in manufacturing pre-engineered steel buildings for nearly 30 years. Nucor Building Systems is a subsidiary of Nucor, the largest steel company in the United States. At CDMG, we have extensive and diverse experience with building design, building project management, construction management, and more. 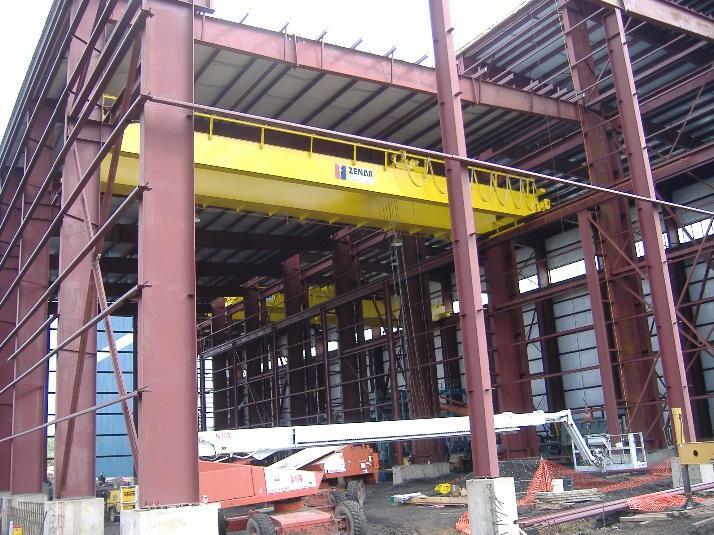 We have built all types of facilities, including caster buildings, metal shops, warehouses, industrial offices, compressor stations, process enclosures, canopies, crane buildings, and others. Our building clients have included Republic Engineered Products, USS Posco, Carpenter Latrobe, ATI Metals, Timken, BASF, Ashland Chemical, and Indspec Chemical. No matter what type of building you need, CDMG is your complete supply, engineering, and construction partner. When you partner with CDMG for your pre-engineered steel building project, we carefully assess your needs and your goals before customizing the perfect Nucor steel building to suit your unique application and your budget. Then, we coordinate and manage the entire process from material procurement and delivery to site prep, construction, and finishing, providing a true turnkey steel building solution. The result will be a quality facility that has been carefully tailored to your needs with modern features an attractive appearance that will deliver long-lasting performance and value.